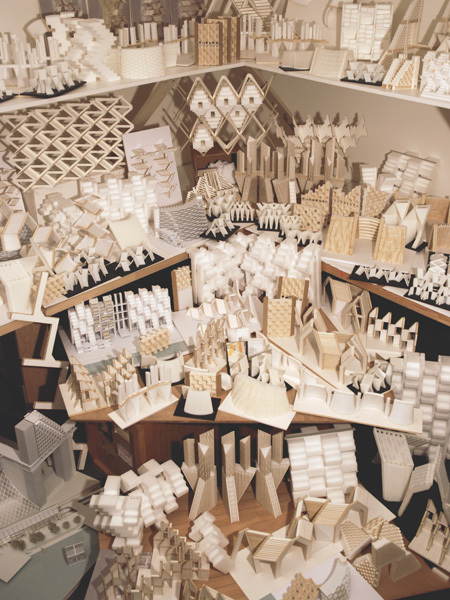 Following twelve years of teaching at the Harvard Graduate School of Design, Moshe Safdie formed a research program within the office to pursue advanced investigation of design topics. This practice oriented fellowship, outside normal business practice constraints, deeply explores speculative ideas. This research inquiry is the central to the development of unique and fresh solutions to commissioned works. Fellows work independently and with Moshe Safdie and the firm’s principals to formulate specific proposals and research plans. This salaried position is located in residence at the Somerville office, with full access to project teams and consultants working with the firm. Though the skyscraper has been with us for a century, we – as architects and planners, have yet to discover how to deploy it as an effective building block for contemporary urbanism. Before the age of towers, we could take for granted that buildings aggregated to create boulevards, streets, squares and crescents—wholesome places for the public realm. Over the course of the last 20-30 years, the dominant typology of towers is that of a singular, autonomous structure experienced as a sculptural object. Increasingly, this is giving way to clusters of mixed-use towers atop a podium.Building in clusters allows for the towers to serve as an urban building block however they are predominantly designed as self-contained, introverted, and privatized environments detached from their context. 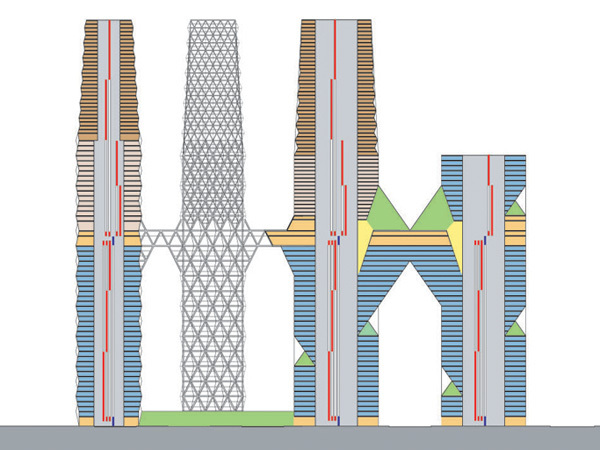 The challenge going forward is to recognize that towers are highly interdependent and require new planning tools to regulate their inter-dependency, limit the impact on light and view on each other, resolve the relationship with their surroundings and guide them towards creating a continuous and exciting public realm. Connecting, bridging and creating urban places at various levels opens up a new realm of possibilities for a better functioning and humane city. Revisiting the first ideas explored in the seminal housing project Habitat ‘67, this fellowship looks at the original design in light of global changes that have occurred since its construction, including massive population increases, new construction technologies, shifting real estate economics, and social and cultural transformations. Additionally, the study looks at regional adaptations that might respond to the scarcity of land and the ever-increasing pressure for greater densities and mixed uses in the vast network of closely packed, very high residential complexes and office buildings covering many miles of our megalopolises. The Habitat studies focus on buildability, density and mixed use, and structural simplification. Findings include the advantages of combining a mix of uses in the urban development, the potential of fractalization to break up the building mass, with resulting outdoor spaces and multiple orientations for every dwelling, and the adaptation of building technology, including modular construction, to optimize construction. Five new building typologies for further adaptation emerged from the study. As a research topic, Mobility on Demand (MoD) emerged after the publication of The City After the Automobile: An Architect’s Vision (Westview Press, 1997), in which Safdie examines principles of city planning. The fellowship reconsiders ways in which the automobile transformed modern American cities and drove suburban development. As cities co-evolved with the automobile, new patterns of settlement (suburbs), infrastructure (a network of highways), and emerging building types (parking garages and gas stations) materialized. Each development redefined the role of surface parking lots and the impact of their growth. The fellowship examines ways of controlling congestion and returning more of the street to the shared public realm through a system of vehicle sharing. The study also suggests a network of MoD stations throughout the city, with links to public transportation systems already in place. With the transformation of select downtown areas in major cities into vehicle-free zones, the streets, streetscape, and public transportation network could be returned to the public realm. From early explorations in his Habitat projects, Moshe Safdie sought the appropriate scale to humanize building types for those who occupy them. In Habitat ’67, a series of ‘sky streets’ connect the clusters of individual apartment buildings as a means to introduce a higher quality of life to the city than was previously available to this building typology. The turn of the century has been a marker, whereby engineers and architects have pushed the technological boundaries of building height. All over the world, we see curtainwall-clad pinnacles reaching for the sky like we have never dreamed of in the past. There is a race to be the biggest and tallest, a symbol of human ingenuity and a symbol of power. But how are super tall buildings impacting the city, how are they occupied, and to what extent are they contributing to the public domain? In the month following the attacks on the World Trade Center, Moshe Safdie published an essay in The New Republic where he outlined his thoughts for a new type of urban complex, where there were not one or two towers of extreme height, “but probably four or five. They should not be 100 + stories, but instead be a cluster of towers that measure 50 to 60 stories, [containing a vast array of programs] that should not be isolated from each other, but should be connected at several levels.” The suggestion of building interconnected towers, rather than singular pinnacles poses many questions – urban, social, and technological - with many challenges to face. This fellowship studies the advantages to connecting buildings at many levels: for structure, for safety, and for the benefit of the public realm, and examines how this typology continues to evolve and proliferate.